This NAIDOC Week 2018 I pay tribute this year to my Nana Gladys whom I did not know, yet feel I have this unbelievable connection to. I feel I know what she was like…..she was strong but gentle, she was fierce and intelligent and she was a leader. Because of Her and the experiences of hardship she endured (and her children, my father, aunties and uncles) I am where I am today and I am truly grateful. 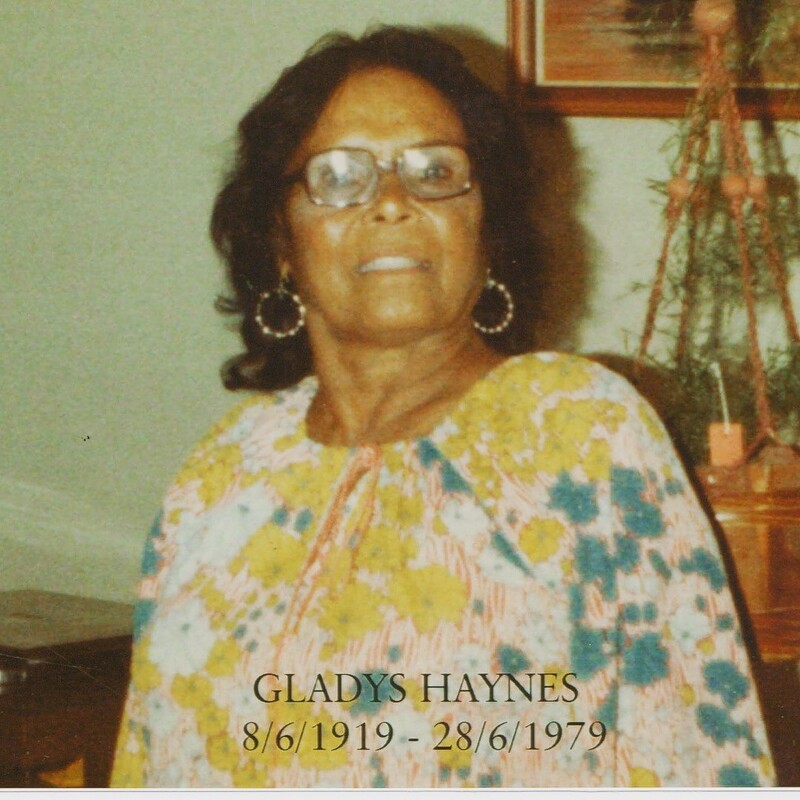 My Nana Gladys (my fathers mother) passed at the age of 60 years, just three months before I was born in 1979. This was in my home town, Ceduna located on Eyre Peninsula, South Australia. My parents named me Nerida Gladys in respect of her memory. From what I have come to understand, her life as an Aboriginal woman was made extremely difficult as she struggled to live under the various Aboriginal affairs Acts and policies that were not only controlling but discriminatory. Government in those days classified Aboriginal people as ‘natural born half castes’ or ‘full bloods’. Other Australians (and migrants that were naturalised) were classified, ‘British Subjects’ or ‘Naturalised British Subjects’. 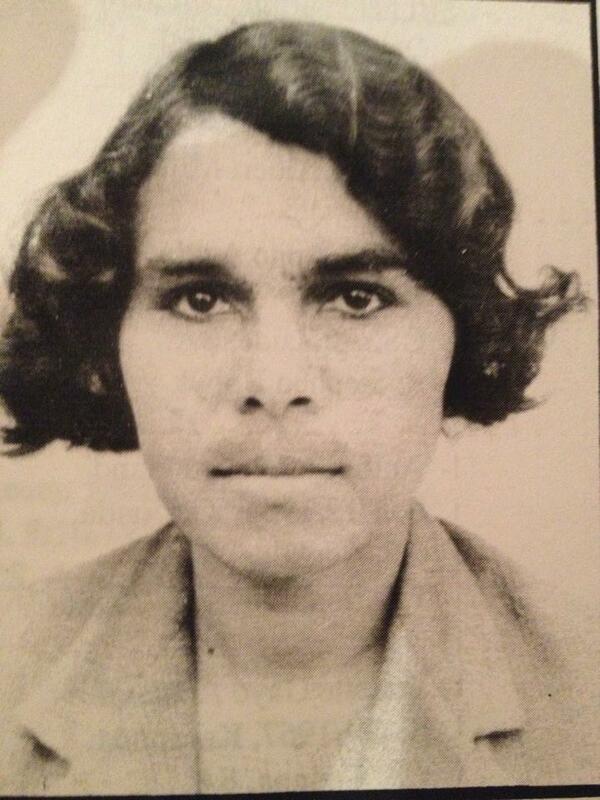 So in practice, Aboriginal people, including my Nana Gladys were not recognised as Australian Citizens. Nana Gladys was raised on Koonibba Lutheran Mission west of Ceduna that was operated by the Evangelical Lutheran Church of Australia. Her father, a Kokatha man was born to a traditional woman of significance and her mother was a Mirning woman. She was the eldest of ten siblings and the teachings of the church played an important part in her life. Connection to country, culture, language and tradition continued to be fundamental to her identity. When Nana Gladys was 12 years old she was sent away from her family and Koonibba Mission by the Chief Protector of Aborigines in South Australia. She was selected to a Government Training for Aboriginals program and became a domestic servant in a Lutheran family home on Yorke Peninsula. She returned to Koonibba in the year she was to turn 20 years old (1939). This deliberate disconnection from family, country, culture and language for so many years suggests an attempt was made to assimilate her. During this time away, her grandmother passes that also suggests, any connection to country, tradition and language was lost, forever. In 1939, Nana Gladys married a man who was not Aboriginal but a ‘British Subject’ (non-indigenous) and her life changed considerably. By 1944 after she had 2 children, the Chief Protector sent her Exemption Certificates for the 3 of them, a requirement of the Aboriginal Affairs Act and because she was married to a ‘white man’. Now she was exempted from the Act and no longer an Aborigine and could not associate with Aborigines. While she was no longer an Aborigine for the purposes of the Act, this did not change the colour of her skin. Therefore she fell through the gap of Government assistance when her life tragically changed in 1949 when her husband deserted her and her young children. Mainstream Government agencies saw her as an Aborigine and Aboriginal Affairs could not offer her any support. Without financial support and a home, her children were immediately withheld from her on the understanding they would be cared for until she had a job and a home for them. Within a month the children were committed to state care until they reached the age of 18 years. The demands placed on her were out of reach for a woman with dark skin who could not gain suitable employment and consequently secure adequate housing. However, the intentions of the Chief Protector at the time were to remove half caste children from their families and integrate them into mainstream society, to remove any connection to their ‘Aboriginality’ from them. Nana Gladys spent many sad and lonely years trying to gain access to her children and demanded to see them and have them returned which is evident in the many letters she wrote to Government including the Premier of South Australia. Sadly her children were never returned even though she made the effort to meet the demands placed on her by Government. After all, she always did what Government asked of her. That was what she had to do, wasn’t it? The pain of separation deeply affected her and her children and has impacted the lives of her grandchildren. However, her qualities of strength, gentle nature and never give up attitude has not been completely lost forever. Today, her life and the significance of her grandmother’s connection to country and tradition confirms my father (a descendent), a common law holder of Native Title of the Far West Coast lands and waters (determined on 5 December 2013). Earlier this year (2018) the South Australian Government acknowledged ‘wrongdoing’ in removing Nana Gladys’ children from her, recognising them as ‘Stolen Generation’. While these actions may be considered a huge response towards righting the ‘wrong’ and ‘healing’ the ‘past’, it has come too late as Nana Gladys is no longer with us. But Because of Her……We Can….find strength in our spiritual connection to country that will never change, regardless of the attempts made to disconnect and separate her children from their Aboriginal culture and identity. Please note: this is only a fraction of the whole story of my nana, aunties, uncles and dad who were affected directly by the Assimilation Policy (1951-1962), the South Australian Aboriginal Affairs Act, the Federal government’s oppression of Aboriginal people and the resulting ‘Stolen Generation’. Far right – Granny Melba (Nanna’s mum). Next to her – Marcina Coleman and far left – Pearl Coleman (Nanna’s two sisters). At this time Nanna was in the program the church sent her away to.